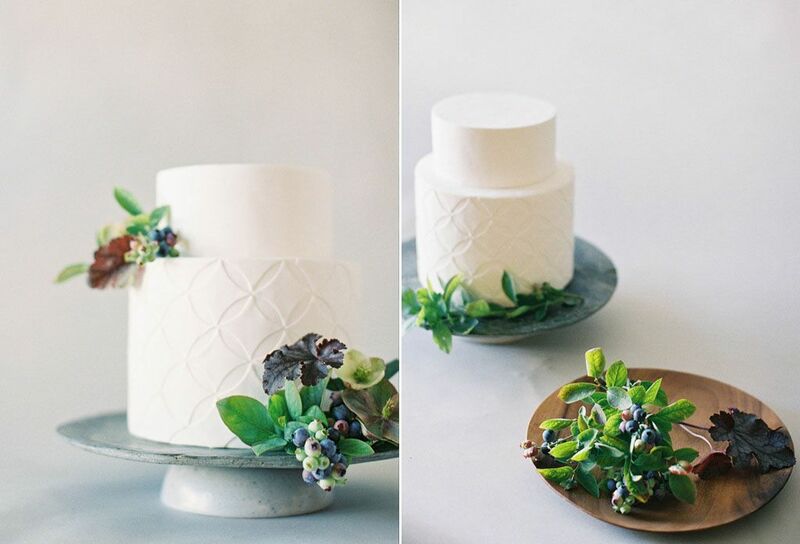 Organic weddings with a sense of understated beauty are taking over the wedding world and have become a trend loved by brides everywhere. 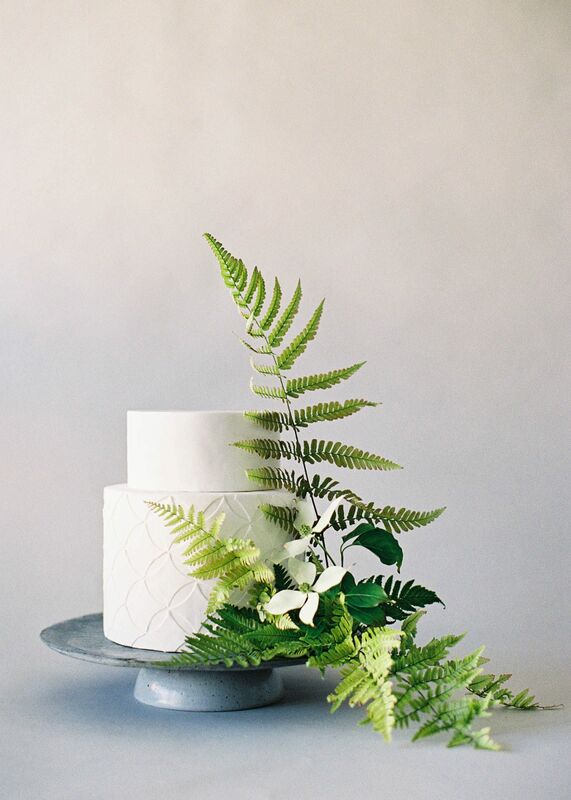 Today's wedding cake inspiration was crafted especially for these kind of weddings and, as celebrated photographer Jen Huang put it, all the naturalist brides out there. 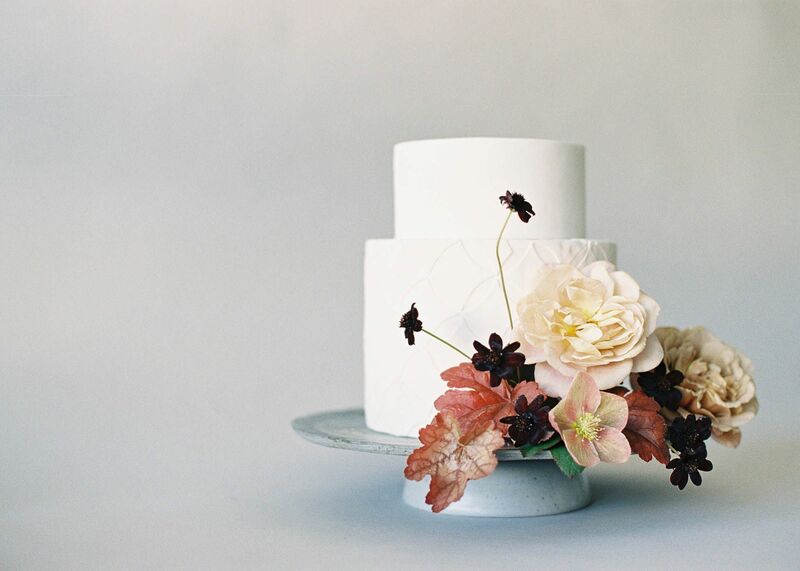 As you peruse through today's post, you will find 10 cakes artfully baked by Nine Cakes and elegantly styled by Amanda Luu of Studio Mondine. 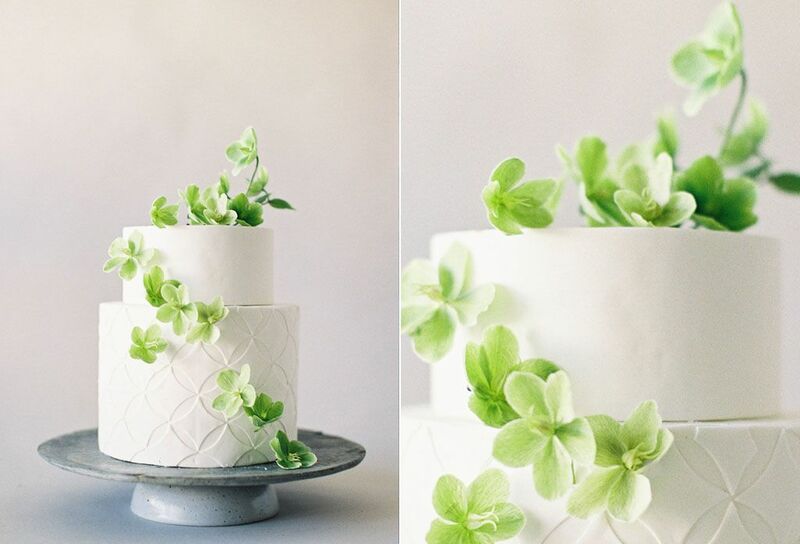 Whether you're planning an eco-friendly wedding or a rustic affair surrounded by foliage, these lovely delicacies will surely leave you inspired. 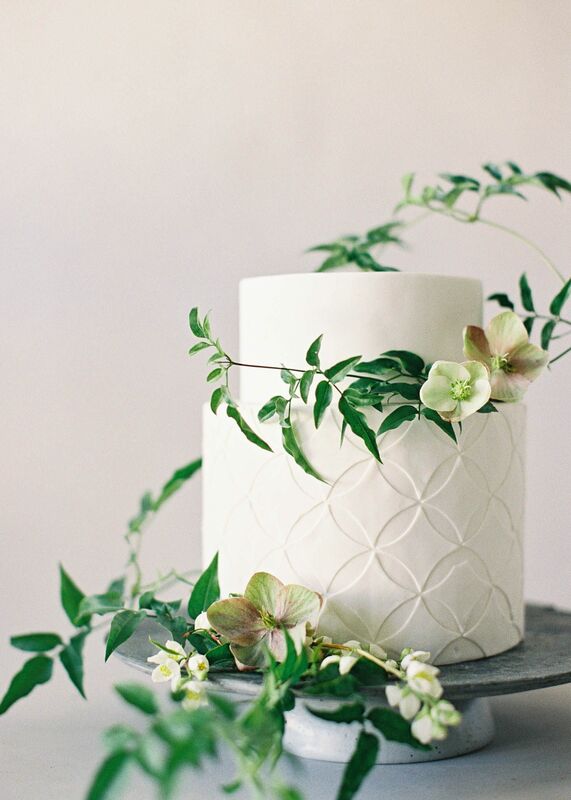 Keep scrolling to see all the cakes and don't forget to add your favorites to the inspiration board! 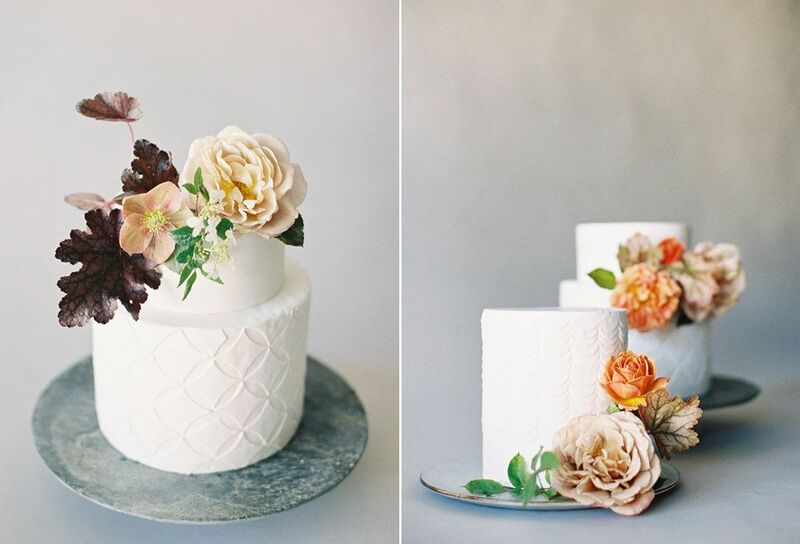 The cake on the left uses blush-colored flowers and darker-colored Heuchera, while a bright orange rose adds an exciting pop to the the one on the right. 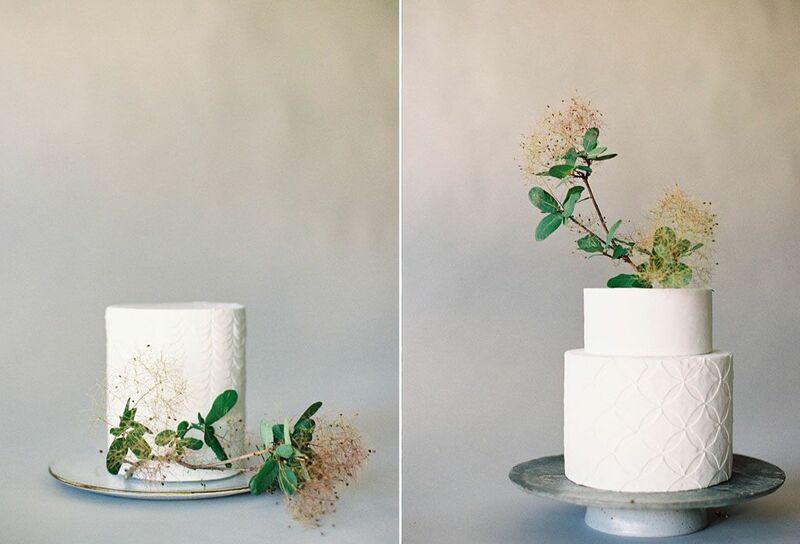 The cake on the left makes use of Dogwood flowers, while the one on the right utilizes its branches. 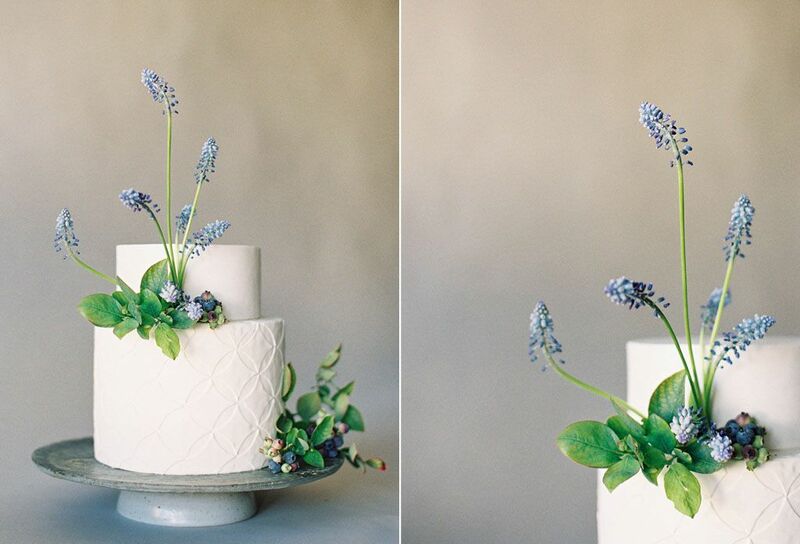 Which one do you like better? 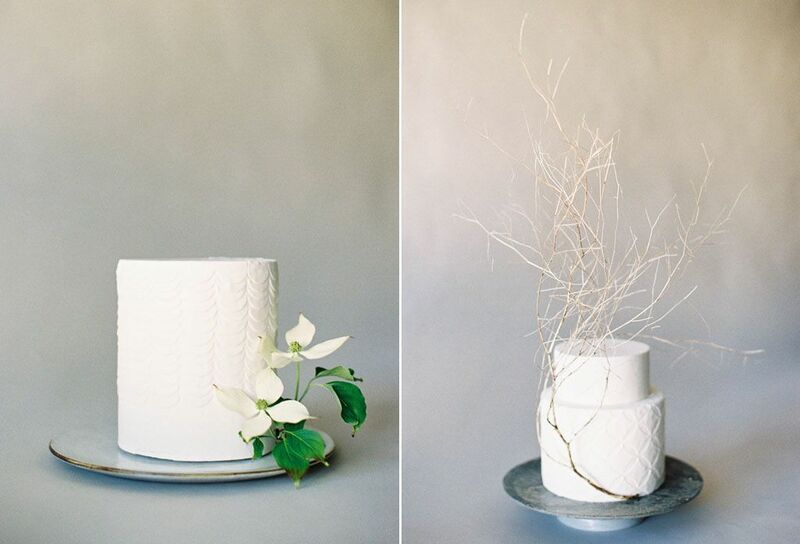 The left one is more feminine and elegant while the right one evokes a more modern feel. Take your pick!